When people visit your e-commerce store, you want them to fill up their carts and spend lots of cash. That’s natural. But what if they don’t? Consumers lead active lives. They’re always hunting for information online, and sometimes they don’t act right away — at least in the way you want them to. For instance, visitors might bounce immediately. They get called away from the computer screen or they arrive at their destinations and shut off their mobile devices. Whatever the case, you can’t always snag a customer on the first visit. You can, however, bring them into your ecommerce conversion funnel. Start the process of converting them from leads into customers. On YouTube, LinkedIn, and Facebook, I get tons of questions about how to build and optimize an e-commerce conversion funnel. It’s harder than it looks. But I can share a few secrets that have worked for me — secrets you can deploy today to boost both sales and conversions. What Is a Conversion Funnel in E-commerce? A conversion funnel in e-commerce illustrates the route your customers take from first becoming aware of your brand to making a purchase. It also includes customer retention, upselling, cross-selling, and subscription-based models. Every business has a different e-commerce conversion funnel depending on the specifics of how users navigate their businesses. The stages are the same, as I’ll describe below, but the specifics depend on your product and audience. For instance, some businesses have shorter conversion funnels. When you sell a low-cost product, you can convert visitors faster because price becomes less of an obstacle. If you don’t know what your e-commerce conversion funnel looks like, you can’t optimize each stage for maximum sales. You have to know which touch points have the most impact on conversions so you know where to focus your efforts and up your game. For instance, your research might indicate that social media — specifically Facebook — plays a tremendous role in conversions. Your large group of followers pays attention to your posts about discounts and promotions. When you have that data, you can take action on it by boosting your Facebook activity and encouraging your website visitors to follow you on Facebook. By placing a prominent CTA for Facebook, you take advantage of existing website and draw people into your social sphere. What is the Average Conversion Rate for E-commerce? Since we’re talking specifically about the e-commerce conversion funnel, I turned to Smart Insights for a visual representation of the average conversion rate that a business might expect to see on their website. The sales funnel example above shows that, out of the total sessions (visitors on your website), nearly 50 percent will look at a product page, yet fewer than 15 percent will add a product to their carts. You can view the last section of the funnel — where just over 3 percent will actually complete the transaction — as a challenge, but I prefer to look at it as a missed opportunity. Based on typical e-commerce conversion rates, companies can significantly improve their product pages to convince people to add products to their carts. 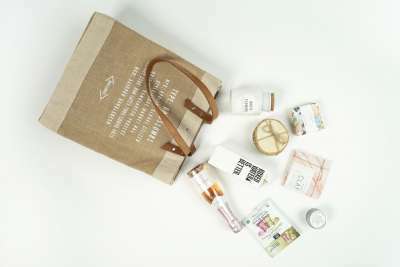 More importantly, they can benefit from optimizing the checkout process so more people actually buy the products in their carts. A typical e-commerce conversion funnel involves four stages. During each stage, the consumer makes decisions based on his or her perception of your brand, product, and the competition. If you optimize for each stage of the conversion funnel, you’ll generate more revenue. During the awareness stage, consumers become aware of your brand. They recognize they need to solve a problem or reach a goal, so they look for solutions. Yours is just one they’re likely to stumble upon. That’s why this stage proves so critical. The awareness stage demands educational content from your brand. Show that you’re generous in giving up free information like blog posts, webinars, reports, and guides. We see this play out in television commercials all the time. You might have seen actor Dean Winters in the “Mayhem” Allstate insurance commercials. He amuses the audience with his antics, which keeps viewers cognizant of the Allstate brand. Now that you’ve set the hook, you can’t let your audience escape. Continue to provide them with entertainment and educational value so they remain interested in your products. Replicate that strategy by sharing brand-centered memes on social media, creating more useful content for your blog, engaging your audience through email marketing, and posting videos on YouTube. When you have your audience’s interest, create desire. Talk about your product’s benefits — not its features — to make your prospective customers want the same great results. Apple does this beautifully. The company doesn’t talk about boring specs (features); instead, it consistently tells its audience that its products are sleek, elegant, easy to use, and secure (benefits). Focus your marketing messages on how the consumer will ultimately benefit. 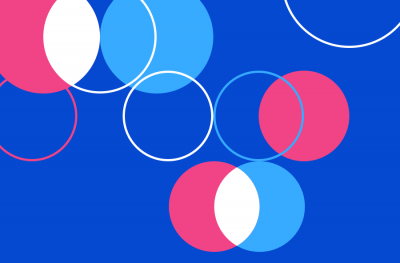 Build your CTAs strategically. Instead of focusing on what you offer, tell the reader how he or she will benefit. Grab an XYZ Backpack for extra storage for your belongings and ergonomic straps that reduce back pain. The second one creates more desire because the reader can visualize the benefits. As I mentioned before, the average e-commerce site convinces only about 3 percent of its website visitors to take this step. You can do better. Examine your checkout process from end to end. What might cause someone to abandon his or her shopping cart? It might be unnecessary form fields, surprise shipping charges, or a lack of alternative payment methods. Test different checkout pages to see which elements should go and which need to be added. There are three steps you can take to build an e-commerce conversion funnel that helps you identify what your customers want and need. Let’s look at them individually. Do visitors behave differently when they first touch on your homepage than they do if they find one of your product pages? What referring domains bring in the most traffic? And how many touch points does the average consumer make before purchasing something? 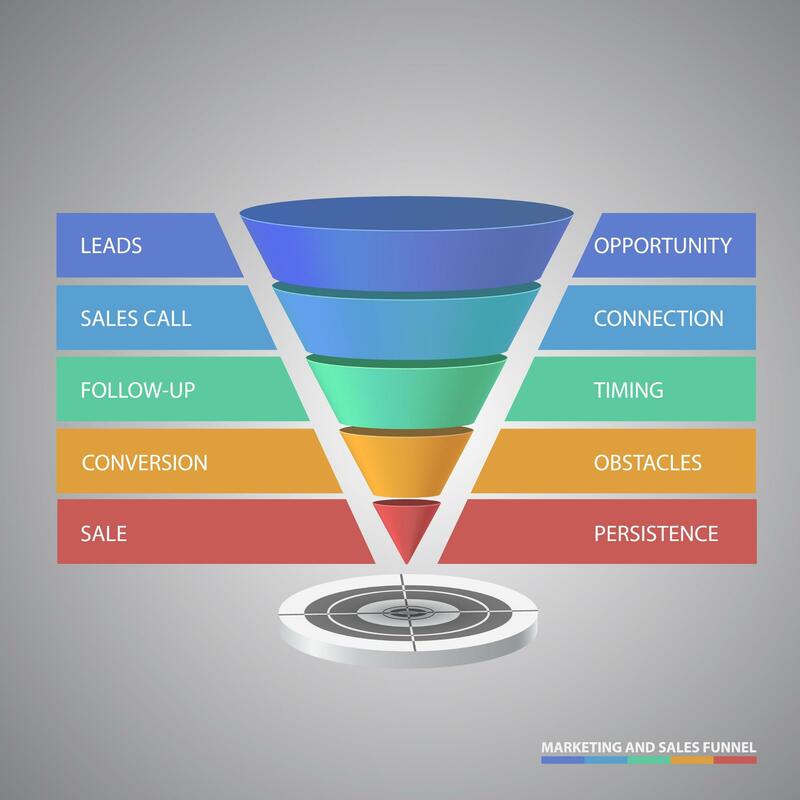 Using the four stages outlined above — awareness, interest, desire, and action — create a plan for ushering consumers through your sales funnel. List the types of content you want to serve up at each stage, for instance, and the pages on your site you want to test. For most e-commerce businesses, a visitor becomes a lead when he or she hands over contact information — usually an email address. If that’s the point when a visitor becomes an ecommerce lead, you need a lead nurturing strategy. 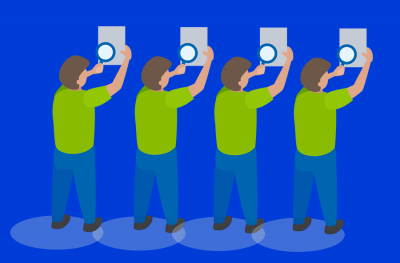 Decide how you’ll help consumers transition from awareness to interest to desire to action. Your email subscribers should receive content designed for all four stages so you cater to your entire target audience. There are two parts of a legal contract: offer and acceptance. The same is true for sales. You make an offer to your target audience. Consumers decide whether or not to accept it. How do you tip the scales in your favor? By creating an offer too enticing to pass up. This goes for lead magnets, sales and promotions, contests, and more. Brainstorming is one of the fun parts. Grab the nearest piece of paper and pen, then start jotting down ideas. Don’t censor yourself. Write down every offer idea that comes to mind. Later, you can analyze each idea, list the pros and cons, and decide which ones make the most sense. Test them against each other to see which entice your audience the most. Following are a few ideas for convincing your audience to convert on your offers. For an e-commerce site, your main pages include your homepage, product pages, and category pages, depending on how many products you sell. You’ll have more “main pages” if you sell hundreds of products than if you focus on one or two flagship products. Start optimizing those first. Take into account both SEO and user experience so Google will send traffic your way and visitors will find your content compelling. Lead-capture forms can make or break your conversion rates. If people don’t want to fill out your forms, they won’t. It’s that simple. In e-commerce, shorter forms often perform better than longer forms because removing form fields reduces friction.It doesn’t seem like as much work. If someone wants your lead magnet, discounts, or product, they won’t waste time filling in dozens of form fields. Whittle down your forms to only the most essential information. If you just want an email address, ask for that alone. Don’t demand the prospect give you his or her name, location, or other unnecessary data. Remember the cart abandonment rates I talked about earlier? If 15 percent of your visitors put items in their cart, but only 3 percent actually check out, you’re losing out on a lot of money. 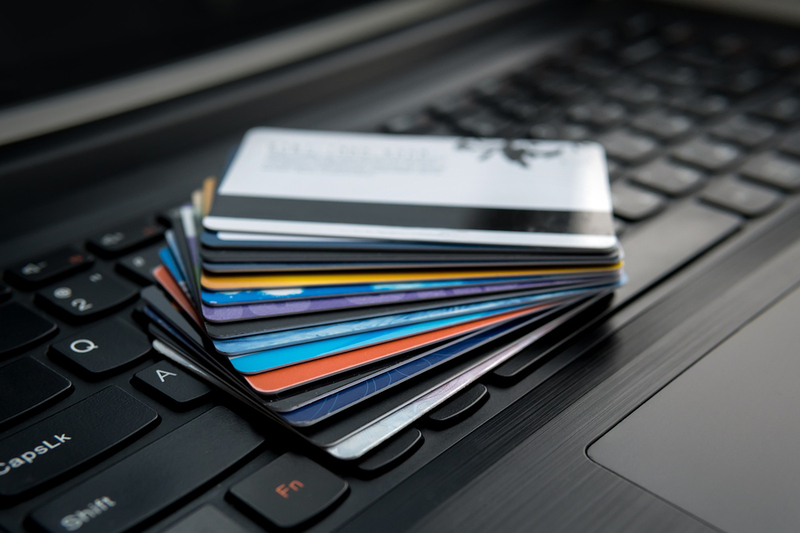 Offer more payment options, use two-page checkouts, and add progress bars to help the consumer feel more secure. Add trust badges to show that you’re concerned about privacy and security, and don’t add any surprise charges during the checkout phase. If you want to improve your e-commerce conversion funnel further, you must track key performance indicators (KPIs) continuously. These metrics tell you how your optimizations are performing. Dozens of KPIs exist, but tracking them all can make you feel like you’re swimming in data soup. Nobody wants that. Instead, track the following metrics, which I have found to be most illuminating when it comes to measuring a conversion funnel’s effectiveness. Nobody enters your conversion funnel unless they find your business. You can generate traffic from numerous sources — social media, search, email forwards, and more — but you want your traffic to grow steadily. Pay careful attention to where your traffic is coming from. If you’re getting great traffic from search, put more of your marketing dollars and time into content creation and SEO. Maybe you get tons of traffic from Twitter. Tweet more often and pack more value into every tweet. Tracking your conversion rate tells you how well your audience receives your offer(s). It could be a lead magnet to convince people to sign up for your email list or a discount to incentivize a sale. Tracking conversion rates across all offers will help you get to know your audience better. A/B test different offers to see which gets the most engagement, then apply what you’ve learned. Your bounce rate tells you how many of your website visitors leave your site after visiting just one page. You can reduce bounce rate by introducing more incentives to visit other pages. If you have a high bounce rate, focus on improving your website’s “stickiness.” Include plenty of internal links to other sites on your page as well as CTAs for various offers. Overall sales is another important metric to track. Even if you’re bringing in hundreds of thousands of website visitors every month, your business can go under if you fail to convince them to buy something. Ideally, sales increase over time. You might have certain dips related to factors outside of your control, such as the seasons, but you want a general upward trend. If that isn’t happening, focus more on the action stage of the conversion funnel. You’ll also want to know how many people put items in their shopping carts, then navigate away from the page without checking out. 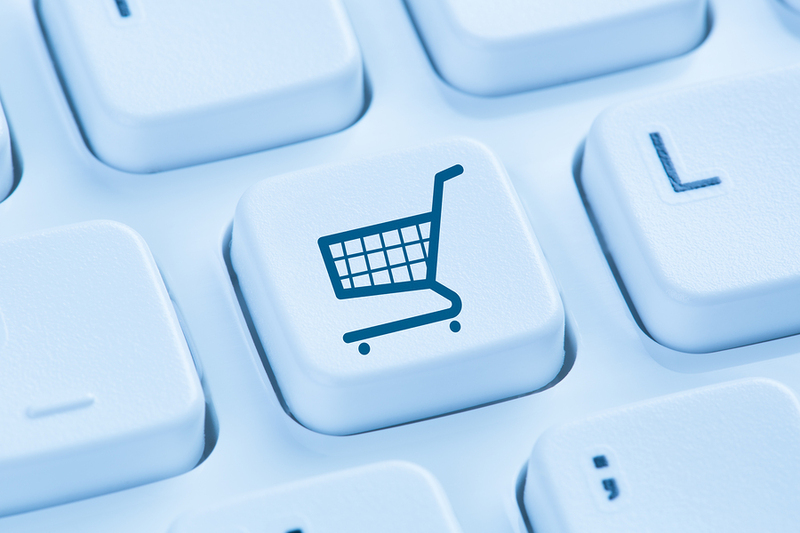 A high cart abandonment rate suggests a problem with the checkout process. In addition to improving checkout flow, consider sending cart abandonment emails. If someone leaves your site without purchasing the items in their cart, send a reminder notice. Invite them back — perhaps with a discount code — to reclaim those lost sales. As I’ve mentioned throughout this article, data is essential if you want to optimize your e-commerce conversion funnel. Without hard data, you’re forced to guess what will work best. Crazy Egg offers several tools to help you better understand your audience. You get key insight into how your website visitors interact with specific elements, from headlines and navigation to CTAs and form fields. Use these tools to optimize your e-commerce conversion funnel for improved lead generation and sales. If you know your visitors don’t engage with a specific CTA, for instance, you can change it to determine whether performance improves. There are many valuable website user tracking reports that you can run on Crazy Egg. 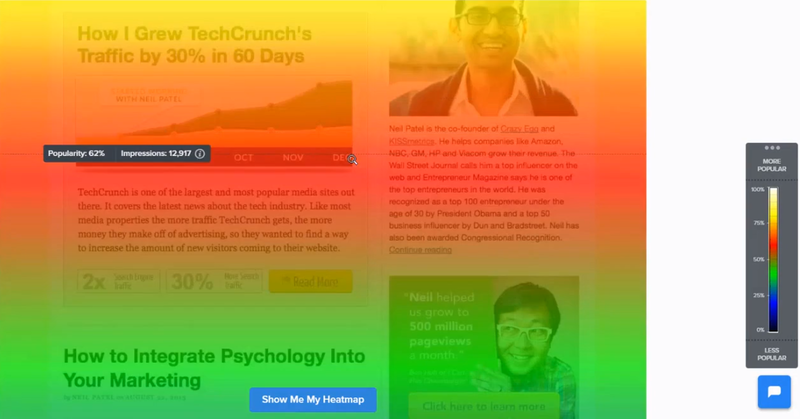 A heat map, for instance, shows you where your site receives the most engagement with color. Warm colors indicate strong engagement, while cool colors indicate the opposite. Scroll maps use the same methodology, but they’re designed to show you when people scroll quickly or stop scrolling. A scroll map helps you figure out where to put key elements on a page. On both heat maps and scroll maps, you’ll see the key to your right. It helps you interpret the map. I’m also a big fan of recordings. They enable you to watch a consumer navigate your site through mouse movements, clicks, form engagement, and scrolling. They’re awesome for optimizing individual pages on your site. If you’re having trouble with cart abandonment, schedule recordings of your checkout page. You’ll see when consumers abandon the process. Once you’ve collected all this data, put it to use. Run A/B tests on elements that contribute to conversions, such as CTAs, to determine what style or variation works best. 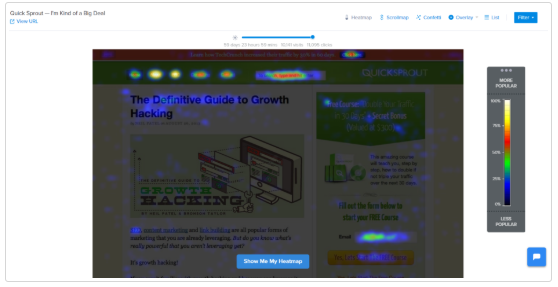 Crazy Egg allows you to run A/B tests with a few clicks of your mouse. It will also show you the results as soon as they’re available. Just click the “Add new test” link to begin. 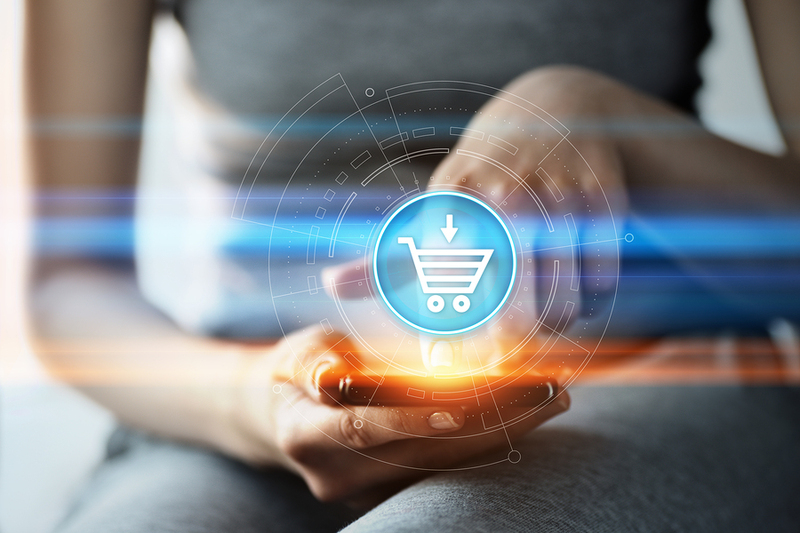 The e-commerce conversion funnel can prove complicated, but if you’re armed with the right data, you can improve the user experience and generate more sales. That’s why I recommend collecting data and running tests continuously. Optimize your content and pages for each stage. Use that framework to make decisions about your email marketing, social media marketing, content marketing, and more. With all this in mind, you can collect more data with Crazy Egg user behavior reports, recordings, and A/B tests. Before you know it, you’ll have a killer conversion funnel that outperforms your competition.